The freestanding tubs of today are much different than the cast iron clawfoot tubs in the past. In fact, they have become one of the hottest trends in recent years. A freestanding bathtub is not attached to the bathroom wall. Continue reading to learn more about these amazing tubs. When it comes to a freestanding bathtub, there are several materials to choose from including enameled steel, metal, and acrylic. Enameled steel bathtubs are very durable and so easy to clean. However, this tub can be cold to the touch. Metal Freestanding bathtubs are beautiful and warmth to a bathroom. However, like the enameled steel choices, it can be cold until the hot water warms the metal. The final option is an acrylic tub. These tubs are lightweight and warmer to the touch than the other material options. The plumbing is harder to hide and can be more expensive than traditional tubs. However, with proper planning and placement, a freestanding tub can enhance the beauty of your bathroom. In fact, many people consider freestanding bathtubs works of art. They can add a luxurious feel to your bathroom and help to create a spa-like setting in your bathroom. One of the best freestanding soaking tubs is the classic roll top clawfoot tub. This tub features a rounded end that allows you to sit back and relax. The other end of the tub features a flat end. The double-ended clawfoot tub, on the other hand, is rounded on both ends allowing you to lie back on either end of the bathtub. For the ultimate in relaxation and luxury consider adding massage and whirlpool capabilities to your freestanding bathtub. These features will take your freestanding bathtub to the next level and give you the ultimate pampering. You will be able to submerge yourself in gentle moving water to help relieve all of your aches and pains. Installing a bathtub with these features will take proper planning as you will need to disguise the motor and electrical components; however, a plumbing specialist can turn this dream into a reality. Freestanding tubs are one of the hottest bathroom designs. They come in a variety of finishes and offer numerous choices, including whirlpool action and massage. If you would like to turn your ordinary bathroom into a spa setting, a freestanding bathtub is a great choice. This work of art brings a luxurious feel to your bathroom at an affordable price. Lori Longoria is a writer. An interior designer. An artist. An entertainer. AND a person who genuinely loves interior design and the people in it. This entry was posted in Guest writer's note, Interior Design/Home Decoration and tagged bathroom, bathtub, comfort, design, freestanding tub, Interior decoration, luxury, relaxing. Sometimes we can get bored of the space we live in. Your paint may be starting to fade, maybe you’ve outgrown your decor, or perhaps you just feel like you need to upgrade your furniture. 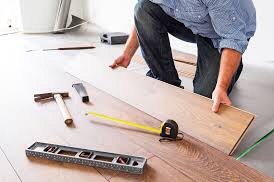 Home renovation experts Redline suggest that simple renovations can make a huge difference to how you feel about your home. Your home should be a place you enjoy spending time. You’re not going to enjoy yourself if you are sick of looking at the same things each and every day. While most of us may be put off by the difficult process of big renovations due to the price and time they take, this isn’t always the case. Sometimes small renovations are all we really need in a home to make a huge difference to how we’re living. The best thing about this is that there is so much advice and ideas available to browse online. Personally I enjoy looking at Pinterest boards for some really creative tips and tricks. Painting has a massive difference to the overall ambience of the room. Depending on the colours you use, you can evoke whatever feeling you decide on. If you feel like making a relaxing oasis, consider the usage of cooler, softer toned colours. On the other hand if you are after a bright and lively space, feel free to play around with primary colours. The best thing about painting is that it’s relatively easy to learn how to do. However, it can get messy. Be sure that you protect floors, furniture and other areas you don’t want stained. This is one of my favourite ways of customising furniture and rooms. It’s incredibly cheap and easy to do. You will be able to find a huge range of handles and hardware and second-hand stores. Personally, I love adding a vintage touch to my rooms. I find my handles at thrift stores around my town. You can get give them a lick of paint for a more personal approach. If your curtains are starting to look a bit drab, it may be time to get new ones, or even better, make your own! Curtains are incredibly customisable. 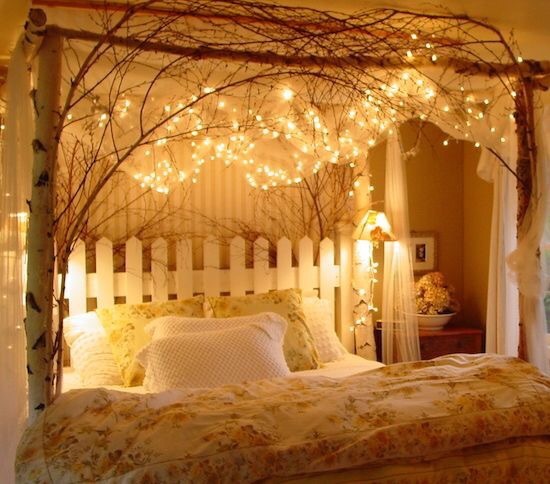 You can really change up a room with these simple additions. Fabric is one of the best ways of updating the look and feel of your living space and there is so many options available out there for you to choose from. Get Looking! These methods are so simple, easy and low-cost, yet they make such a big difference to the appearance of your home. You can really create a space you love to be in simply and easily with little home renovations. Author’s Bio: Hunny is a Freelance writer and home decor enthusiast living in New Zealand. This entry was posted in Guest writer's note, Interior Design/Home Decoration and tagged guest post, home decor, house renovation, Interior decoration, painting. When you approach the stylistic layout of your home, you probably do it in two or three distinctive ways by picking items and hues that look appealing. In any case, shading is a capable approach that can be utilized to motivate feelings, make space hallucinations or just set the inclination and air for a specific room. Certain things trigger instinctual responses and can influence our mind-sets in the most unpretentious ways. Blue has constantly been an indication of freshness and class. Blue is cool shading by nature and it works outstandingly with basically any tone whether it’s dull or light. Blue is an indication of tranquility, knowledge and security. Mixing blue with different shades will give your room a sentiment robustness and balance. A shading palette that solidifies a rich shade of maritime constrains blue with flawless white accents and astute space will make it an immaculate space for resting and loosening up. Grey, is perfect for any room. This straightforward shade can show up either warm or cool and makes the peaceful landscape in a standard, bleeding edge, home or any style room. Grey shading is refreshing for its flexibility and refinement. Grey joins with a combination of shades to give easing view or set the perfect scene to pop highlight shading. On the off chance that you are joining tones and need an enthusiastic brilliant room you ought to pick high differentiating hues. If you’re hunting down peace then join shades of a relative energy to make a calming impact. Green is an unprecedented mix of identity and serenity. It is the most relieving shade to the human eye. It includes a general breezy and female feel to the room. It has an extensive variety of tones from lime to mint. In the event that we consolidate light shades of green with strong hues, it will give the room a crisp and energetic look. Dark green creates a stormy background for various textures in a room. 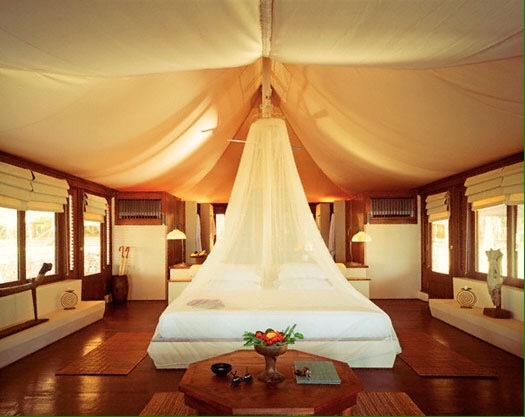 If we use green comforter sets and furniture it will add nature elements to a room. A majority of people think that pink is a shade for young princess rooms filled with flowers and bears. Be that as it may be delicate and controlled pink, similar to red, or beige with pink hints creates a relieving feeling in a room. Many shades of pinks have a freshness adored by artists.Pink can be combined with different hues, including chocolate cocoa, dark, mint green, metallic gold and silver and white to make an assortment of inclinations. At the point when it is combined with manly tints will create a feminine look. In the event that you don’t like the sweet and sappy look, then don’t overdo with pink, keep lines basic and clean and utilize modern textures. Yellows, from Maybe Maui to Roasted Chestnut, are springing up all over. Yellow can look sunny and vibrant or glaring and adolescent. So picking the correct shade is very important. In some cases, that takes some effort because Yellow is a dubious shading to get perfectly. Yellow coating gives room dividers a translucent look. A light-filled room is the ideal contender for a breadth of sunny yellow. Matching the brilliant shade with provincial accents gives an exceptional turn to the customary shading. This entry was posted in Guest writer's note, Interior Design/Home Decoration and tagged blue, colours, green, house, Interior decoration, pink, yellow.